Colombo: Sri Lanka’s parliamentary speaker has called the president’s sacking of the prime minister to bring a former leader back to power a non-violent coup d’etat. Speaker Karu Jayasuriya is a key figure in the political standoff that started on October 26, when President Maithripala Sirisena fired Prime Minister Ranil Wickremesinghe and replaced him with former president Mahinda Rajapaksa. Wickremesinghe is refusing to vacate his prime ministerial residence and insists he remains in office until voted out by parliament. The president had suspended parliament, a move Rajapaksa’s opponents say is aimed at preventing it from rejecting his return to power. “The entire series of events can only be described as a coup, albeit one without the use of tanks and guns,” Speaker Jayasuriya said in a letter dated November 5 to diplomats and foreign missions, adding the “entire matter was pre-planned”. Jayasuriya says the majority of parliamentarians view the change in prime minister as unconstitutional. In the letter he said some of them were offered bribes and ministerial jobs to support the new government. Sirisena says he fired Wickremesinghe because he was trying to implement “a new, extreme liberal political concept by giving more priority for foreign policies and neglecting the local people’s sentiment,” and denies acting unconstitutionally. India and Western countries also worry about his close ties to China, which loaned Sri Lanka billions of dollars for infrastructure projects during his rule. A foreign ministry official told Reuters that some foreign envoys have said they will only recognise Rajapaksa as prime minister after he can prove he has support of a majority in parliament. 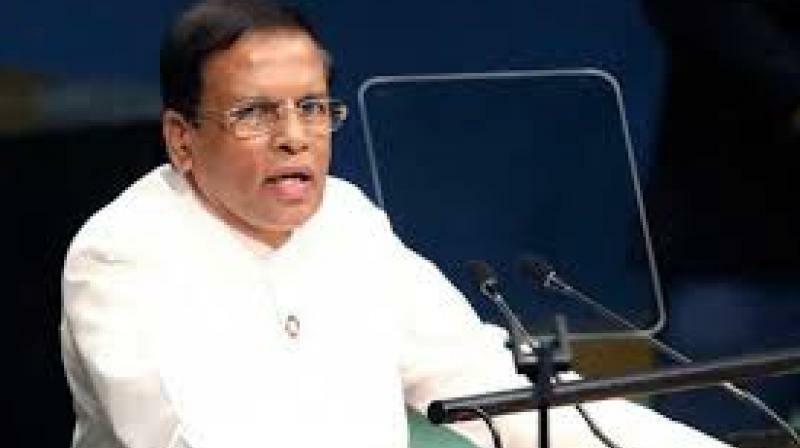 Sirisena has recalled the parliament on November 14. Independent political analysts told Reuters a majority in the 225-member legislature is against the sudden sacking of Wickremesinghe. At least eight lawmakers have deserted Wickremesinghe and accepted ministerial posts under Rajapaksa, while one deputy minister resigned and joined Wickremesinghe.